The theme was Mermaid/Beach, so my MOH made some cute t-shirts! I gave them some cute matching beach bags and since we were staying at an all-inclusive I made some tumbler cups with their names. We also bought cute floppy beach hats with a phrase. We all wore our matching tees and went to Sayulita to explore and of course get drunk! We took tons of pictures (which I will be posting soon) and walked around the cute shops and ended up at a restaurant on the beach. They had awesome drinks, awesome music, and awesome food! So we officially started the bachelorette there and had an amazing time! This is the day I got sick, but it was still worth it! I get car sick pretty easily so imagine being on a boat ride! I was hungover from the day before so that also triggered the sea sickness. For only $80 we went on a boat ride to Islas Marietas. It included food, alcohol and aquatic activities like snorkel, kayaks, tubing, slides and other activities. I was so sick they had to keep me at the nearest island. I took some pictures but don't judge me I look sick! haha. Ok enough with my sickness and let me tell you a little more about these Islands. The Islas Marietas are a group of small uninhabited islands a few miles off the coast of Nayarit, Mexico. They are popular destinations because of the abundant marine life. The Marieta Islands were originally formed many thousands of years ago by volcanic activity, and are completely uninhabited. The islands are about an hour away from the coast of Puerto Vallarta and are visited daily by hundreds of tourists, yet no one can legally set foot on the islands. 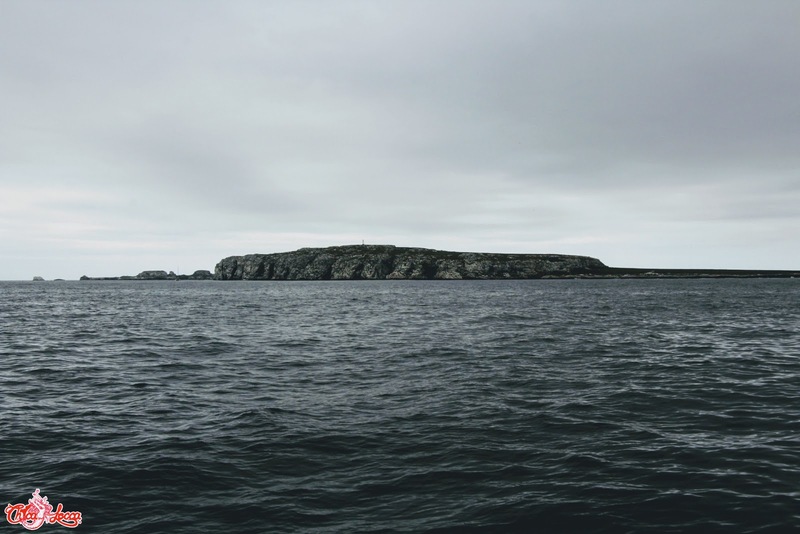 In the early 1900s, the Mexican government began conducting military testing on the islands because no one lived there. Many bombings and large explosions took place on the islands causing amazing caves and rock formations to be created. After a massive international outcry, started by scientist Jacques Cousteau in the late 1960s, the government eventually decided to label the islands a national park and therefore protected against any fishing, hunting or human activity. We wanted to visit the "Isla del Amor" but it was closed. It was worth it! I had fun despite the sickness. The Chica Locca crew took good care of us and they were always asking how we were feeling and trying to help us out however they could. I will definitely go back and try one of the other tours! If you are interested in booking a tour visit: chicalocca.com. 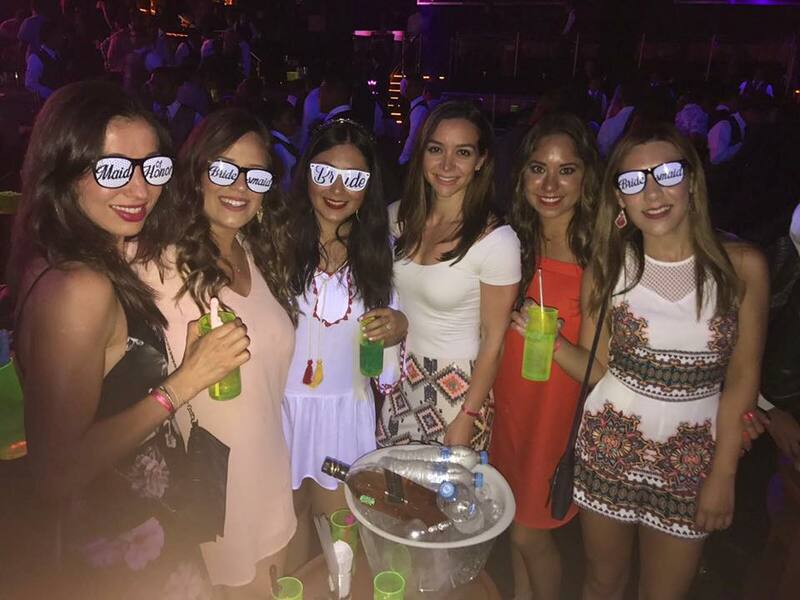 We traveled to Puerto Vallarta on Saturday night to have the proper Mexican party! I just love the Mexican atmosphere! Clubs close until 5 am! We sure know how to party! It has been a while since I last visited a club! So, I really enjoyed it! We had dinner at "La Leche", which I reviewed in the last post. Click here to read. Then we headed to "La Santa" which is one of the hottest clubs in Puerto Vallarta. We had bottle service so we had our own little table. We dance the night away. The lights and the DJ were amazing! This place is incredible, it's up there with some Vegas night clubs! If you happen to be in Puerto Vallarta this place is a MUST!